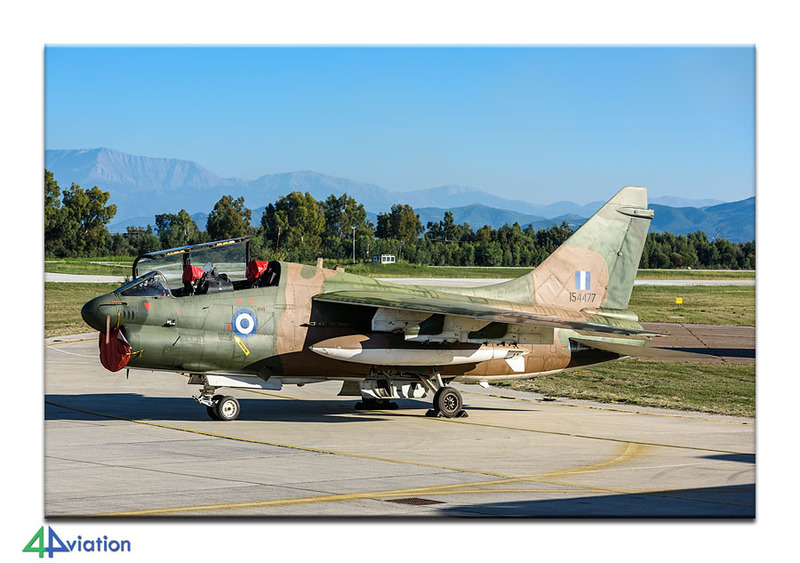 A group of 16 participants took part in the 2015 tour to visit the open days of the Hellenic Air Force. Early November ‘we always travel to Greece’. And so we did this year. 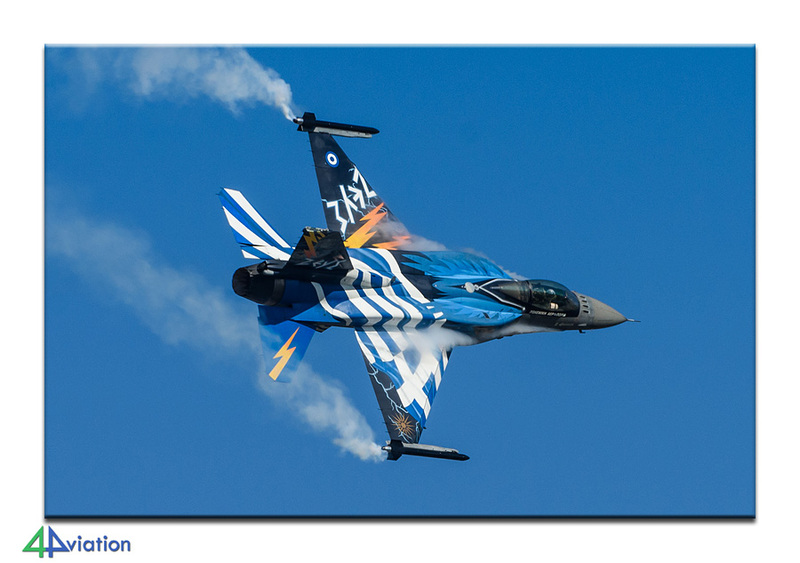 A group of 16 participants took part in the tour to visit the open days of the Hellenic Air Force. It would turn out to be the best edition of the tour ever. As usual the tour started (on Wednesday 4 November) early with a meeting a Schiphol, the check-in, the waiting before being able to board, etcetera. Once at the international airport of Athens the two participants that travelled on their own were already waiting for us at the rental car desk. We could conclude that everything went as smooth as it should have gone and that we could head for our first Starfighter at the beginning of the afternoon. For most of the participants it was their first visit to Greece and all appeared to be interested in wrecks & relics. 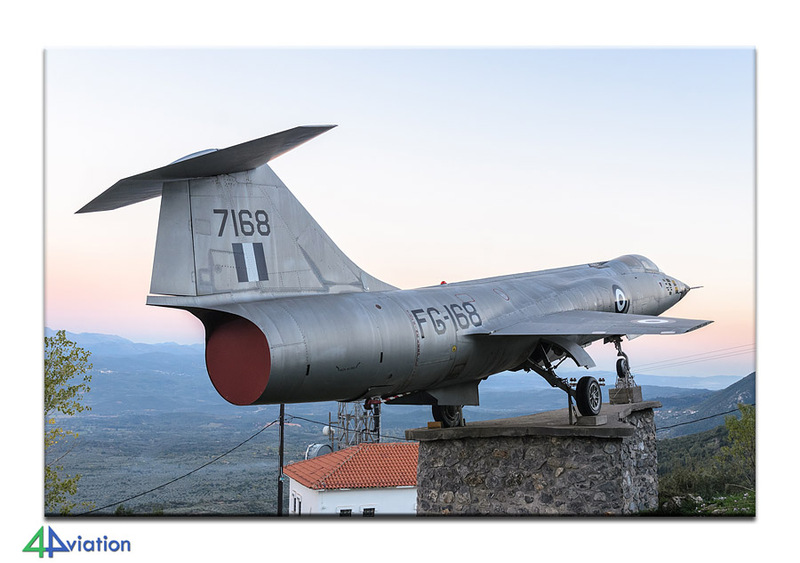 After the first F-104 and the first impressions of Greek traffic we could start our drive towards the final destination of this day; our hotel in Kalamata, about 250 kilometres away. On our way there we obviously did not forget to see some more old aircraft. These were an F-86 covered in camouflage netting and a second F-104. After these we had the option to go straight to the hotel or to take a detour via mountainous roads to visit a third F-104 in the dark. Apparently nobody could resist that temptation since it was unanimously to start the search for that particular 104. This resulted in an interesting drive using ever smaller roads and an enormous amount of hairpin turns. Eventually we arrived almost at the top of the mountain just in time (dusk had already started to set in). There we found the nicely parked Starfighter. Quite a relief. If the drive towards it was interesting, the return journey to Kalamata in the dark from one side of the mountain to the other was nerve-racking. Only happy faces therefore when we eventually arrived at our hotel, still well in time. The hotel was expecting us already and the table was ready for dinner. It had been a long day for all, so all opted to go to bed early. Ready for the next day and the ‘real stuff’. 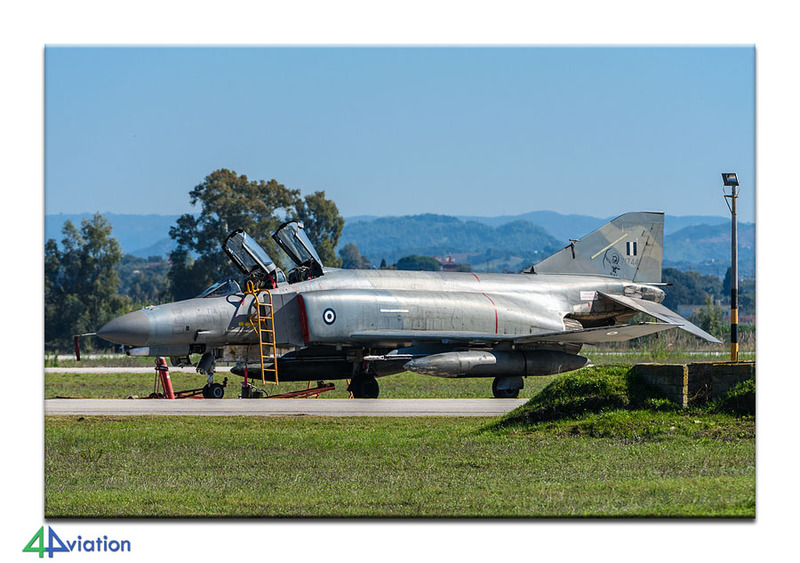 After a decent breakfast and a short stop for an F-5 in the city we ended up at the gate of Kalamata air base in time on Thursday 5 November. The gates would open for the general public at 9 o’clock but we wanted to be there early to beat the buses with school children. Unfortunately it took a while until well after nine and handing in our passports twice before we could head for the aircraft on display, while being accompanied by a security guy. The buses with school children had arrived in the meantime but they had to wait a little while fortunately while we took our pictures. The security guy was watching all we were doing since we were only allowed to take photos of the aircraft on static display. 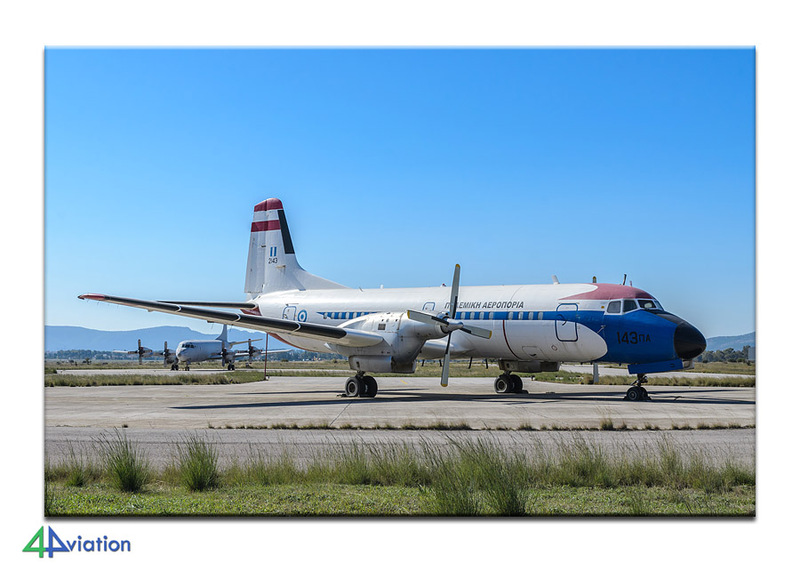 We were not allowed to capture the flight line with Buckeyes, nor the stored T-37s and the Portuguese Casa 295 that was visiting. When leaving the air base we had to show our photos to the security guys (under friendly circumstances, but it took some time). We were only hoping that this was not the procedure for the other bases we were planning to visit. Because of time lost at Kalamata we went straight to Andravida (the second base of three planned for today). Here we also had to show our passports, but the similarity with Kalamata ended with just that. After a short bus ride we were left to do our thing. Fortunately there were some movements by Phantoms and F-16s. This resulted in a number of very nice pictures and a sigh from all “so it can be as relaxed as this!”. After waiting for another two F-4s taking off it was time to take the bus to the main gate again, we had another destination to get to today. At Araxos the atmosphere was very relaxed as well. There was hardly any need to show the passports at the gate and after telling “We’ve been here before” we could walk to the platform on our own. Here also some aircraft were parked outside and inside the hangar and apart from us there was hardly anybody present. We kindly requested the aircraft ladders to be moved and that was “misused” by all to capture all aircraft once again form a higher point of view! 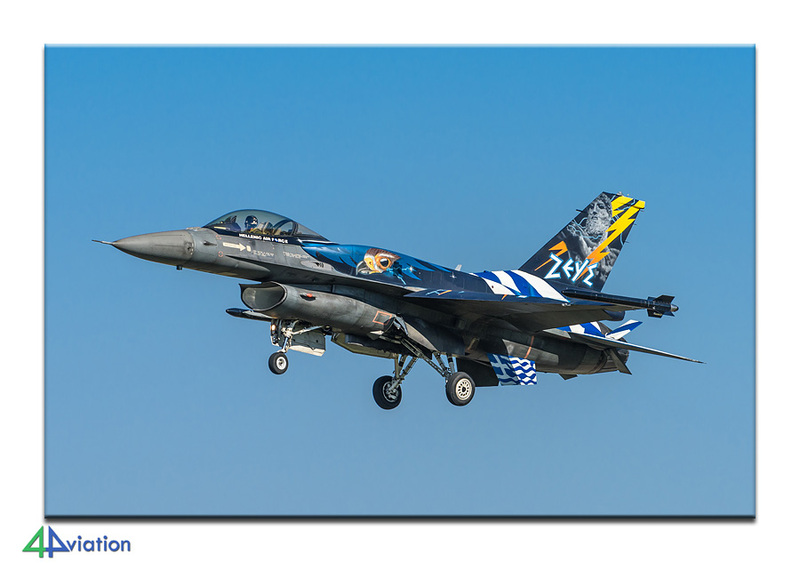 Some F-16s returned from their mission in the meantime, but they were too far away and exited the runway too early so photography was not an option. Then followed the long drive towards our hotel near Megara, partially in the dark and mainly via endless road works. It was quite a relief to eventually reach our hotel, still not too late (7.30 in the evening). Thanks to the bar in the lobby of the hotel part of the group managed to lengthen the evening. Also for Friday (6 November) three “open days” were scheduled, but it worked out different eventually. But not that we were complaining! Furthermore the Sunday was marked as a ‘spare’ day so we had a lot of flexibility. But, before we went to Elefsis we first had a peak at the army base near Megara. 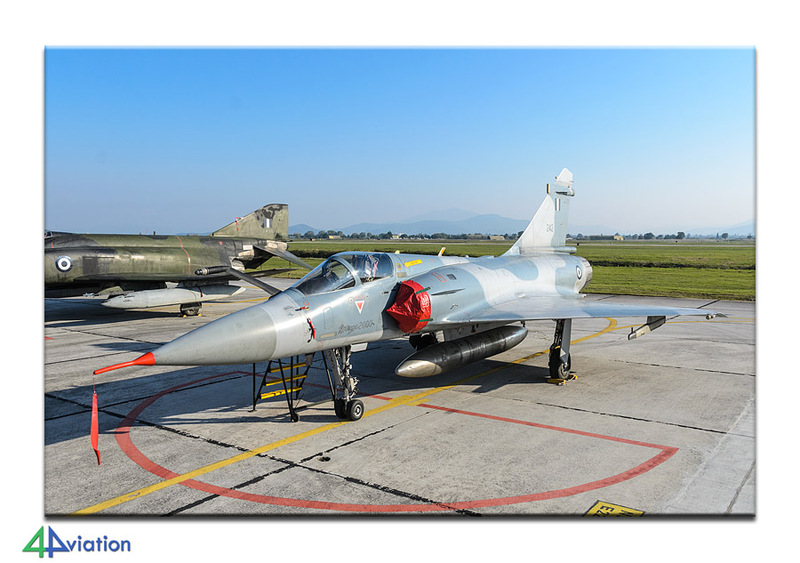 It is such a pity that only the air force organises its open days in November, but so be it. After that we quickly went to Elefsis! Here also a relaxed atmosphere… and busloads of school children. After a quick check at the gate we could follow a military car to the platform where the static was positioned. At the static area we were surprised to find an AWACS Embraer. This one we could take pictures off, but the visiting VIP Embraer a couple of metres away was off limits. This also was photographer obviously, after which the personnel was pretty ok with everything. After finishing here we thought that we were completely finished with Elefsis. But… Back at the gate we asked for permission to take photos of the “heritage park” behind the gate with a fair number of old aircraft. Surprisingly the answer was “yes”. It became even better when and passing officer passed by and had a look at what these foreigners were doing. This colonel appeared to be the deputy base commander and commander of the Super Puma squadron. When we asked why there was no helicopter present in the static display he answered “we will make up for that!” Ok… But first we want to make pictures of the museum aircraft, trying not to disturb the military ceremony that was taking place in preparation for next Sunday. After that we could visit the platform with the choppers, where we were greeted very friendly. 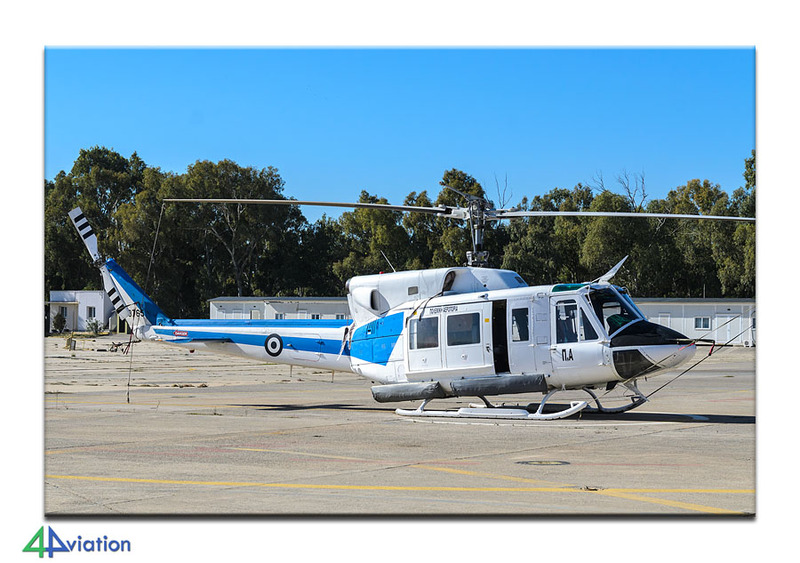 Not only could we take pictures of the two white Bell 212s and the SAR Super Puma, in the end we could also enter the hangar and take photos of the Hueys and Pumas that were in overhaul. Our Japanese colleague had shown interest in the white YS-11 that was in storage on the other side of the base and since we were under authorisation of the colonel that was not a problem. By then the fun was over, but we got a lot more a Elefsis than expected and hoped for! The thank yous and compliments for the colonel and our guide during the goodbye where therefore very real! The only downside from this great stay at Elefsis was that we had spent way more time there than originally planned. Visiting both Tatoi and Tanagra today was not realistic anymore. 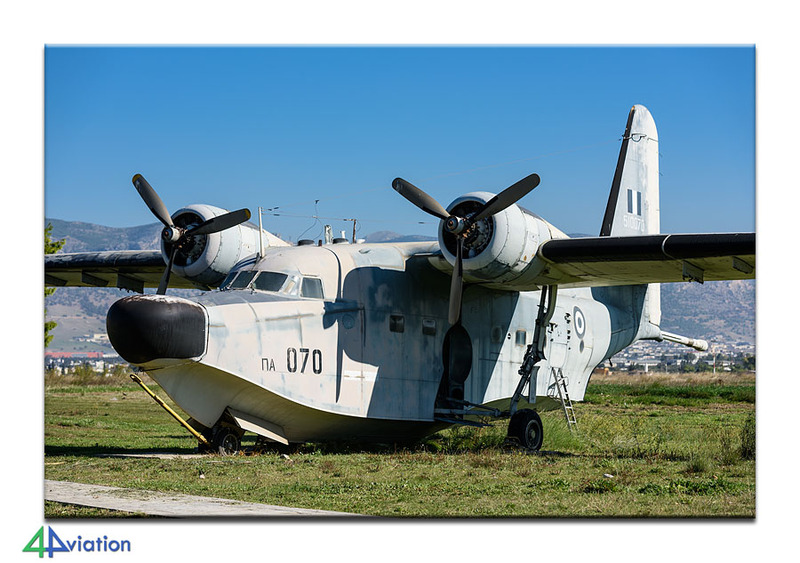 Because of possible aircraft movements on Friday we decided to move our visit to the museum at Tatoi to Sunday and drive straight to Tanagra. Near the base we saw that the T-6 “Daedalus” was already flying its demo. At the entrance it looked like it was going to take some time again, but in the end our passports were not even opened and we could enter without any checks. 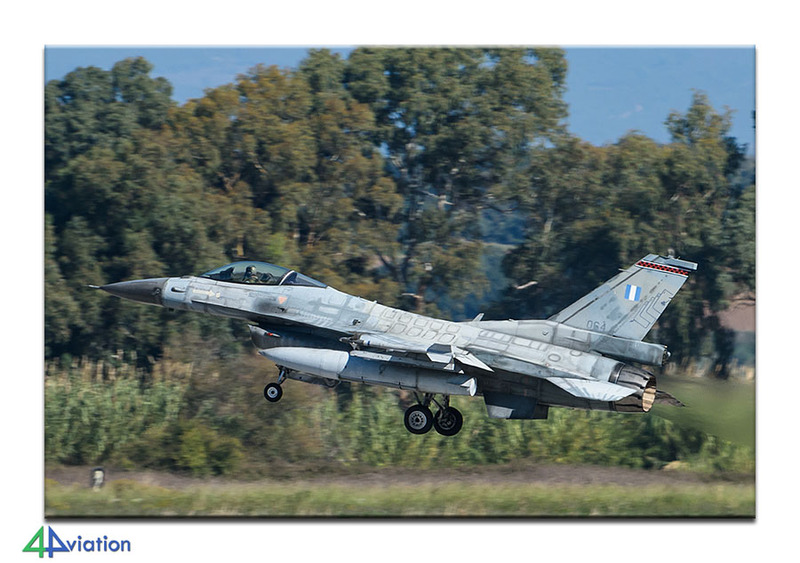 Probably security was much more interested in the F-16 “Zeus” demo, that was about to take-off, than in our passports. While on our way to the parking spot the T-6 landed, which resulted in some very nice shots for some of the people in the two moving vans. We were all in time for the F-16 though. Tanagra is home to a large amount of old aircraft, mostly in special colours, which resulted in a static display that contained a lot more aircraft than on the other bases. 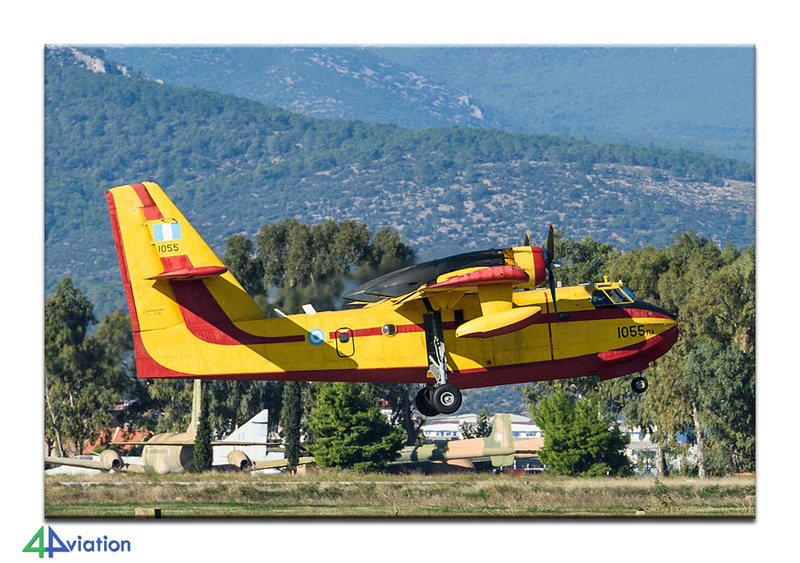 Some local spotters informed us that more aircraft movements were planned for later in the afternoon. And so it happened that we were ready at the runway threshold in time, ready for the action that might come. It appeared to be two F-16 and three F-4s that were about to take off. Especially these last three made everybody happy, despite the fact that the wind was blowing from the wrong direction resulting in take-offs towards us. After this we left for our hotel for the night. This was quite a drive again, but again we arrived in Larissa at a decent time. The plus side of a hotel in a city centre is that there are plenty of options for dinner and the majority off the group took advantage of that. All were curious about what tomorrow would bring, could things get any better than today? Saturday morning 7 November started with a search for an F-5. The navigation system took us over dirt roads for several kilometres and tour guide said to himself “at least it all looks familiar”. 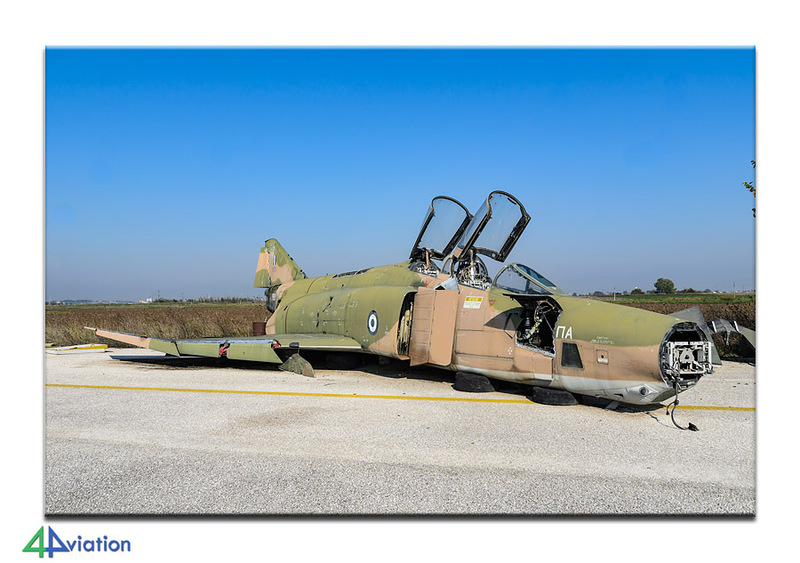 And that appeared to be the case, since after 15 minutes on the bumpy road realisation set in that the navigation system, had made the same mistake as four year before; we were getting as close to the F-5 as possible… but on the wrong side of the river! Ah, yes… that’s why it looked for familiar… The second attempt was a lot better. 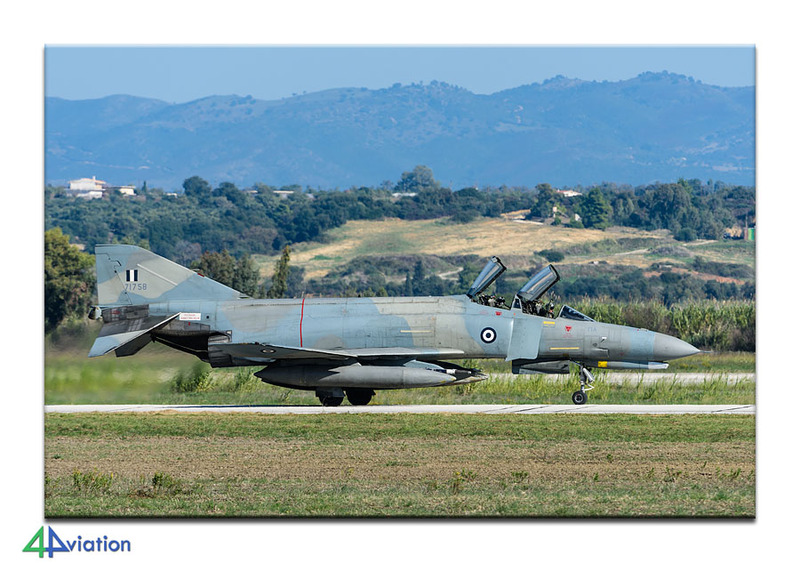 Time for more serious business now; again go straight through the city of Larissa and to Larissa air base. Passports we not necessary at all here, apparently we were being expected. It helps to arrive early since we could now take photos without people in front of or behind the aircraft. 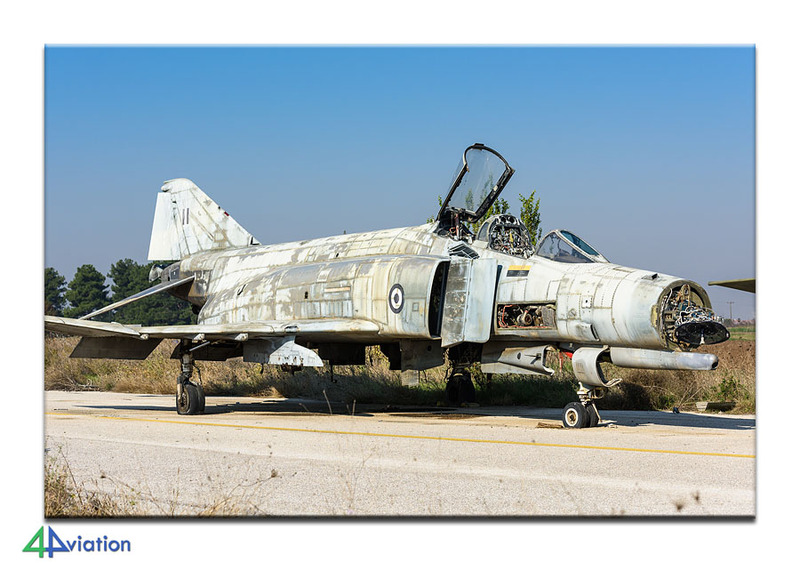 After the static was a “done deal” it would be very cool if we could also visit the area with the withdrawn Phantoms. This was almost settled in 2014, but had to be skipped because of lack of time. No guts no glory, so the tour guide started asking. Security could not be of much help “No sorry, it’s Saturday”. 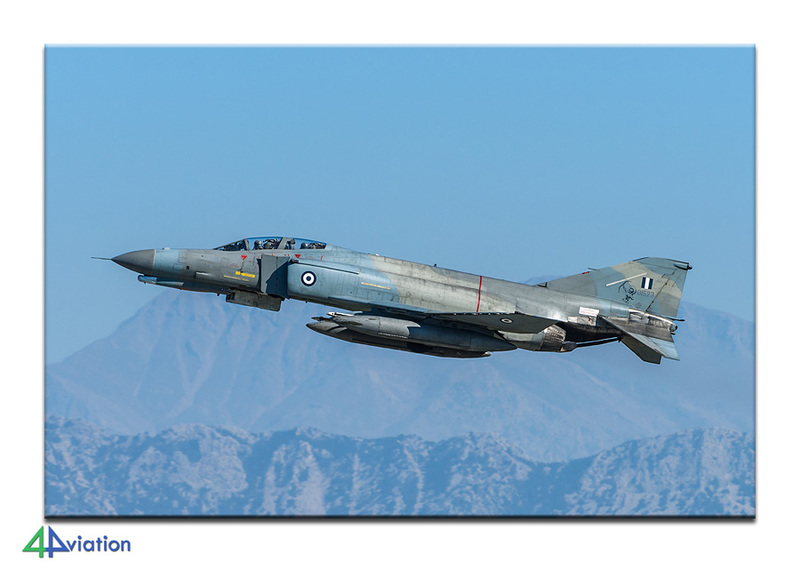 A bit further away the RF-4 squadron was selling their goodies, maybe we are more lucky there? While the group was buying their stuff already the question came out and it was already agreed before we knew it. “Maybe if you buy more of our goods” was added while joking… Soon after the squadron was mobilised including a security guy and we were on our way to the Phantoms! 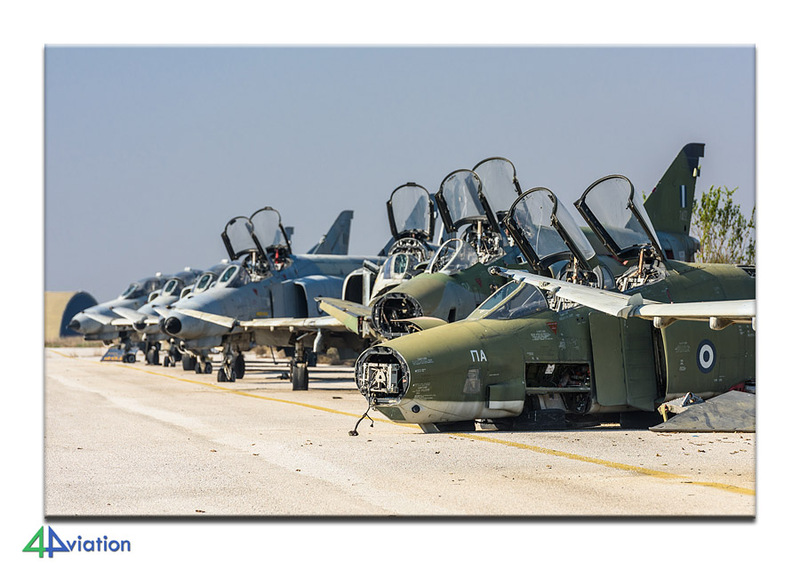 The 13 aircraft, plus two F-5s and a T-33, are clearly out of service. Despite that they looked nice in the sun! 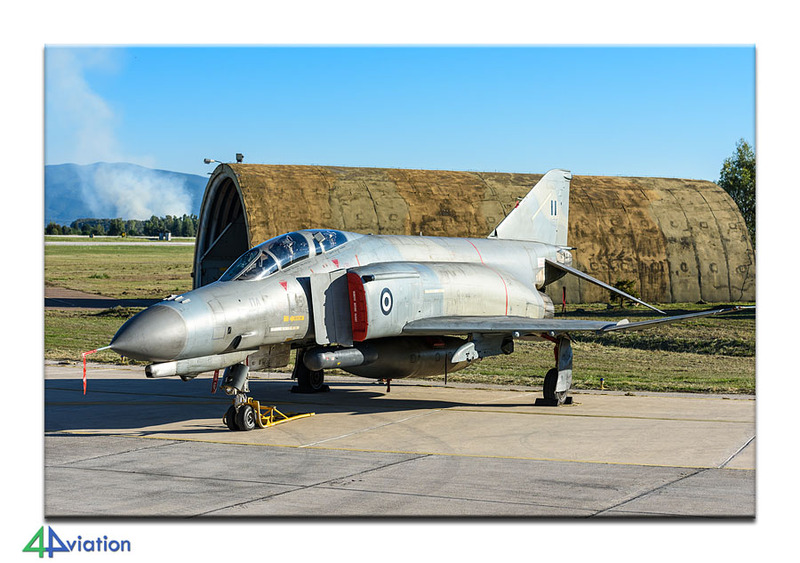 By now the squadron commander arrived as well and he was happy to allow to take photos of some other withdrawn RF-4s as well. Finally he also gave a short tour though the squadron hangar that contained that final airworthy RF-4 undergoing maintenance. We could not take pictures inside the hangar. Still the visit was appreciated a lot by the group. After taking photos of another RF-4 and RF-84 at the squadron we were brought back to the static display by the security guy. We were somewhat in a hurry by now, since we heard the sound of an F-16 all of a sudden. 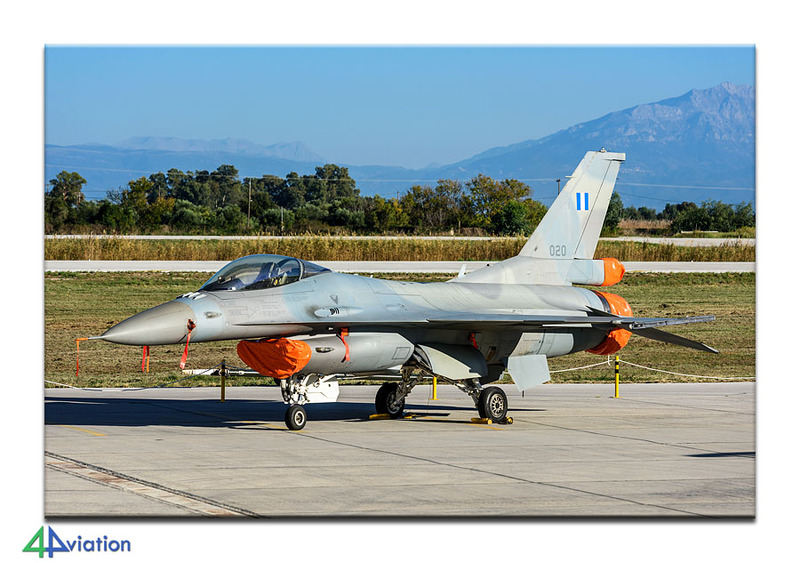 Apparently this was a “regular” F-16 but being piloted by the pilot of the “Zeus” demo, that was about to fly some demo’s from Larissa. Maybe we could capture the take-off. From the static area this was quite far away though and we were facing the sun. For four of the group this distance suddenly was not such a problem anymore, since the commander of the RF-4 squadron (we had just said goodbye to him) came rushing towards them in a car. “I’ve got room for four, get in!” Then he chased the follow-me car (also called in last-minute) towards a spot closer to the runway. They arrived just in time before the F-16 took off! After taking photos of the old aircraft in the park we left the base feeling more than happy and content. And so it became Sunday (8 November) already. The final day of the tour and the official ceremonial day for the air force (patron saint). That was the reason that the air bases would not open their gates until 1 PM for the public. In the morning ceremonies would take place. 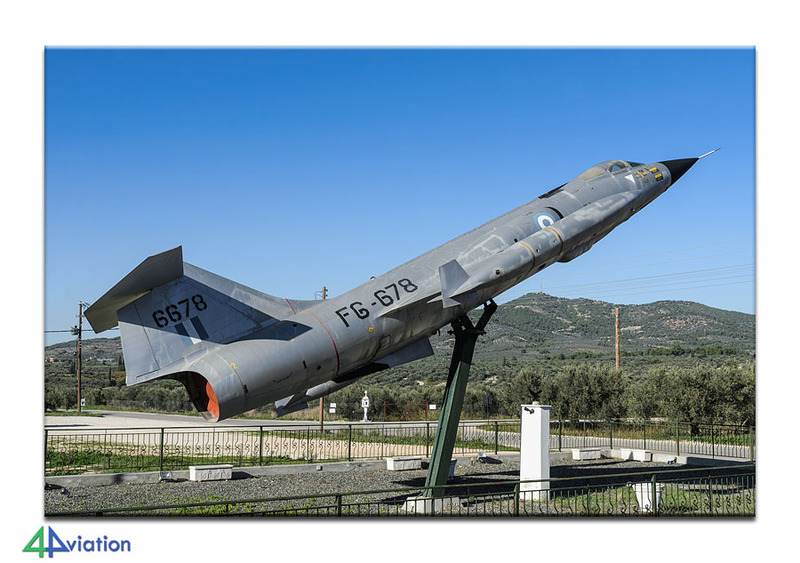 We used that time to search for a T-33 and another F-104, before going to Detelia / Tatoi. We arrived here well in time and had to wait outside the main gate for a while before it would open. 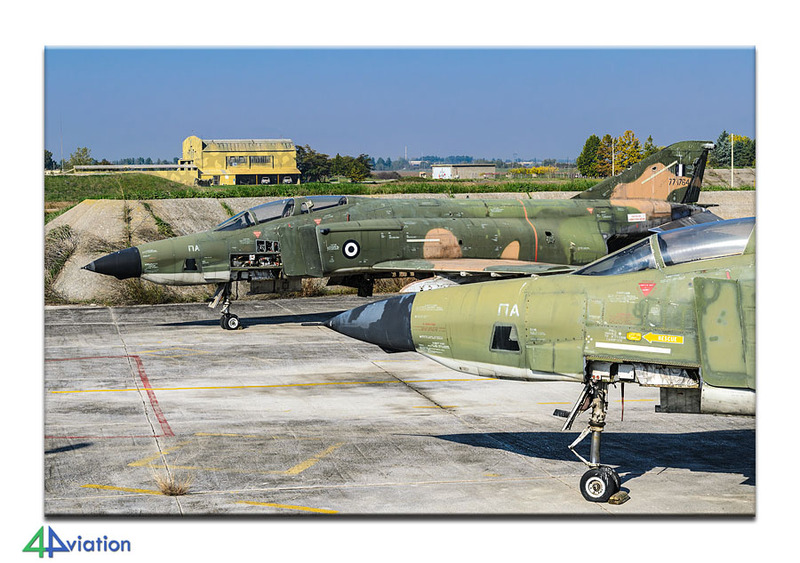 On our way to Tatoi we saw a formation of three F-4, undoubtedly related to the ceremony at Tatoi. Still we were surprised near the base when the same formation came by for a second time. Hoping for a third pass we did not go out for more old aircraft in the neighbourhood of Tatoi. Unfortunately there was no third pass. Meanwhile it turned out to be very very busy at the entry gate. While the visitors of the ceremony were trying to leave the base, the road was blocked from all possible directions by the crowds that were coming to Tatoi. Indeed… “chaos” is originally a Greek word, and we know why by now! Anyway, just after 1 the gates opened and we were one of the first to get in. It was quite a walk, for those travelling by foot, from the gate to the museum. This time was used by us to capture part of the museum and the stored Ag-Cats without crowds. Twenty minutes later this was totally different… We were not in a hurry and everybody could enjoy the museum at his own pace. Waiting in the sun until the last ones were done was not punishment either. It was almost time to start our return journey, but not after attempting to find one more F-104. 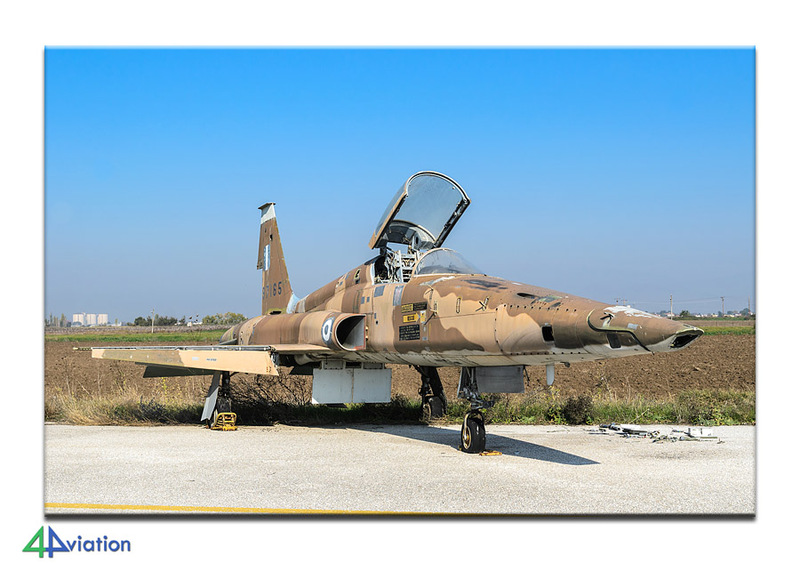 Unfortunately this one was positioned out of sight on military terrain so we had to drive to the international airport of Athens without this F-104. We handed in the two vans and enjoyed our final dinner together. Here we also said goodbye to the two group members that were flying on their own. A little later we were surprised by a familiar face; a Greek spotter that we met at Tanagra turned out to be an employee at the airport, knew that we were waiting for our flight at this particular gate and decided to come by for a little chat. He surprised us a little later again, since when we got off our bus that took us from the gate to our Transavia 737 he was waiting for us on the platform to make a group picture in front of the 737! Unfortunately the group was not complete, but the group picture (one of many during the trip) turned out to be a very nice. Very thoughtful of this very nice spotting-colleague. Also a very nice end to yet another successful Greece tour.